When I was younger, Japanese tea was served as a welcome drink with free of charge at eatery places. Nobody had imagined to pay for Japanese tea. No wonder we didn't see almost any Japanese tearooms back then. Now, we see them. Not popular as much as coffee shops and British style tearooms, but they are seen here and there. 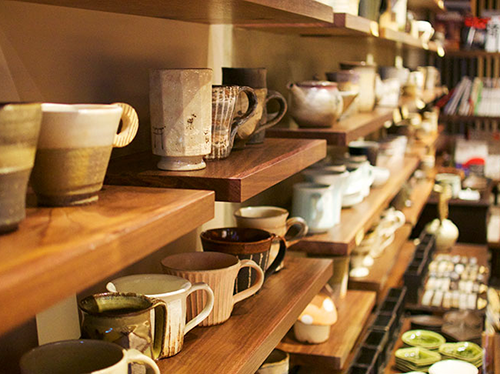 I realize that Japanese tea rooms tend to introduce “hand-on” style unlike coffee shop and the British style tearooms. At some tearooms, you brew the tea yourself followed by the instruction. 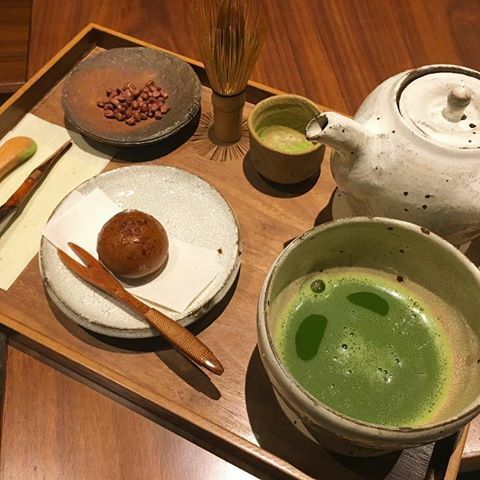 At a tearoom in Osaka, you prepare your own tea by whisking Matcha or freshly-ground Sencha. And you can choose the teacup you want to drink with. This tea pot is so pretty! Ah, I see. This is how to brew it. Interesting! I didn’t know there are many different kinds of Japanese green tea. The taste is different from bottled one! It's tasty! These days, people drink more bottled tea, and they don't brew tea at home. Some are eager to try when new bottled green tea are put on the market, but don't show any interests in brewing tea with kyusu and miss the chance to learn how to brew it. Those tearooms can help people especially younger generations begin to appreciate its value.